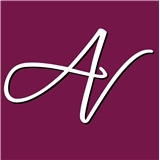 Alta Vista Dermatology (Highlands Ranch) - Book Appointment Online! Welcome to Alta Vista Dermatology, where our passion is to achieve lifelong healthy skin for all ages by practicing the most advanced and effective dermatological care, using state of the art surgical and cosmetic procedures. Dr Sarolta Szabo, Dr Bradley Draper and their highly trained staff are devoted to providing a full complement of medical, surgical and cosmetic dermatological care in a comfortable, caring and professional environment. Our board certified Dermatologists and dedicated staff offer the highest standard of personal care to develop individualized treatments plans for all patients to achieve the best results. Very thorough visit. Very professional. Would certainly recommend him. Jessica has an excellent bedside manner and really listens without rushing. Highly recommend.